Music fans set sail on the Herbie Hancock & Blue Note Jazz at Sea Transatlantic Crossing on Queen Mary 2 beginning August 1 for eight nights. This Cunard cruise ship will sail from Southampton, UK, to New York, New York. Hancock will perform three 45-minute intimate shows in The Royal Court Theatre during the cruise. And on the the westbound let of the Transatlantic Crossing, he’ll be accompanied by band members, drummer Vinnie Colaiuta, bassist James Genus and guitarist Lionel Loueke. Born in Chicago in 1940, a young Herbie wowed audiences when he performed a Mozart piano concerto with the Chicago Symphony Orchestra at the tender age of 11. Although he developed a deeper interest in jazz while playing it in high school, he went on to double-major in music and electrical engineering at Grinnell College. After turning pro at 20, Herbie had a string of successes including releasing his debut album “Watermelon Man” and joining the Miles Davis Quintet in 1963. Five years later he struck out on his own again, forming the band The Headhunters, which played to sold out crowds and released four pop charting albums. But it was the song “Rockit” that brought Herbie to more mainstream audiences with a video that won five MTV music awards in 1983. Just a few years later, Hancock went on to win an Academy Award for his score of the film “Round Midnight.” He had continued success in the ’90s. And in 2007, Hancock’s Joni Mitchell tribute album “River: The Joni Letters” garnered him three Grammy Awards, including Album of the Year. 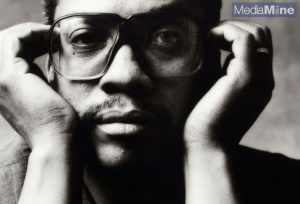 The MediaMine collection features Herbie Hancock’s 2000 session with famed photographer/ videographer Norman Seeff. We also have media from his official Hollywood Walk of Fame Star ceremony in September of 1994. To find out more about the Herbie Hancock & Blue Note Jazz at Sea cruise click here.